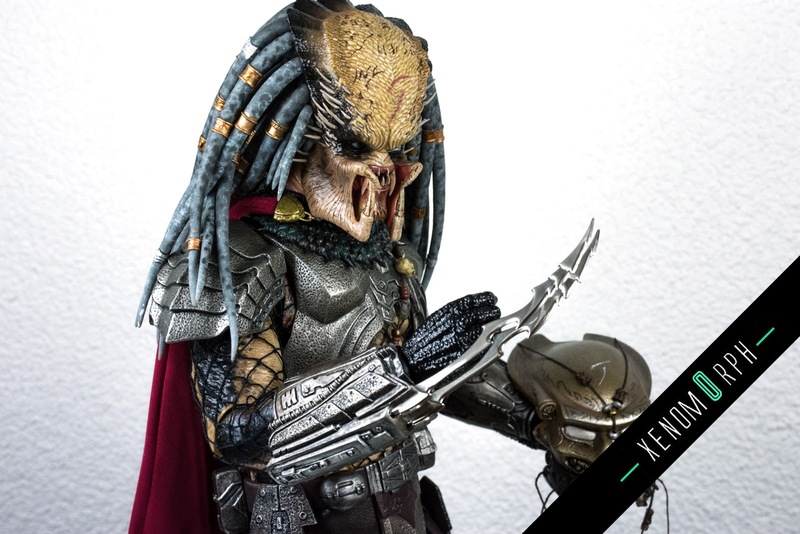 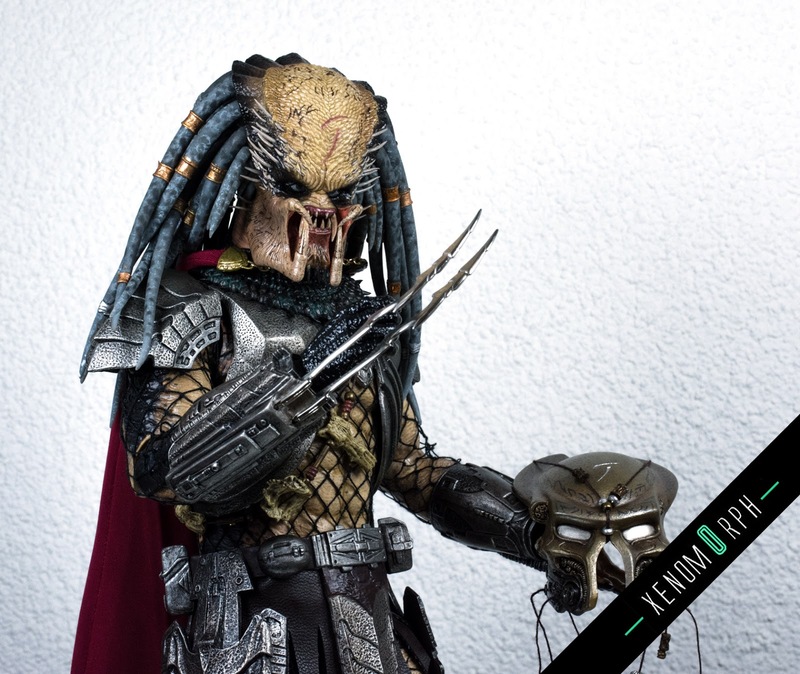 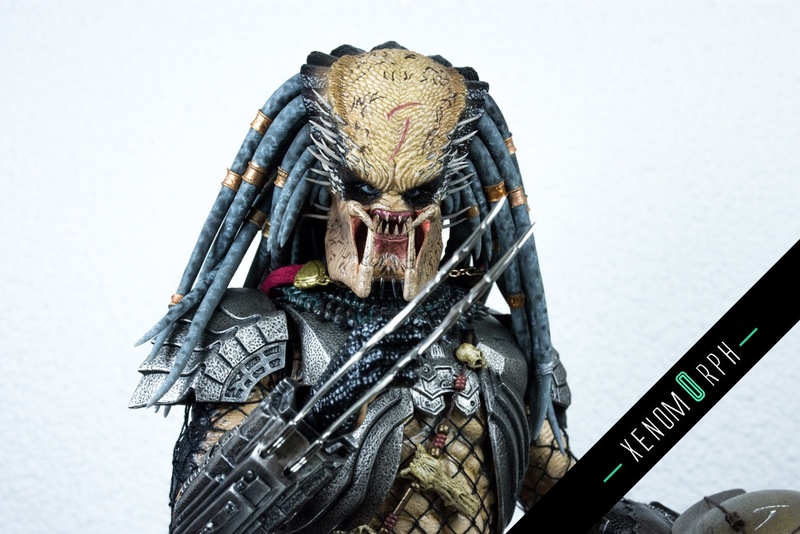 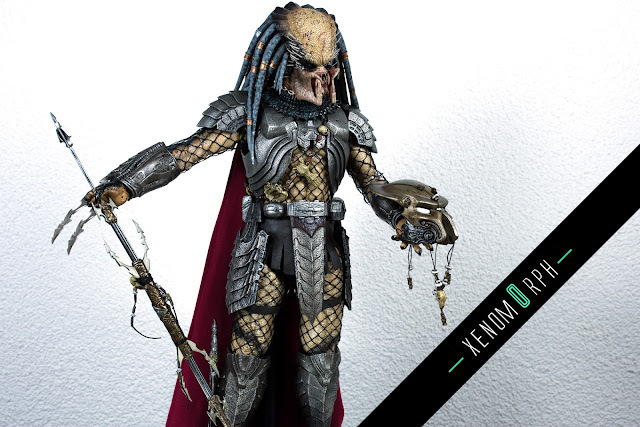 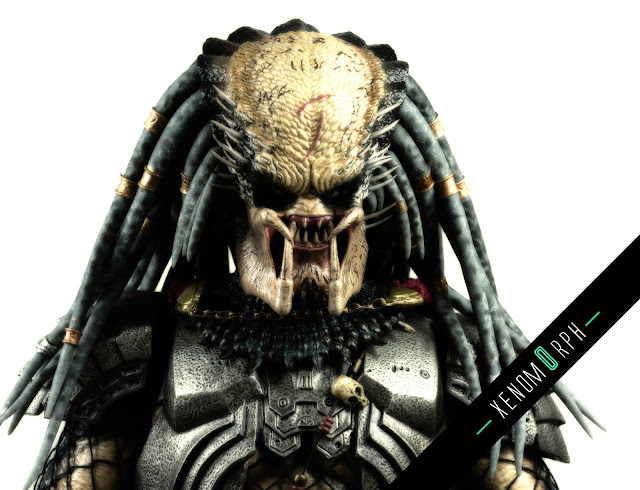 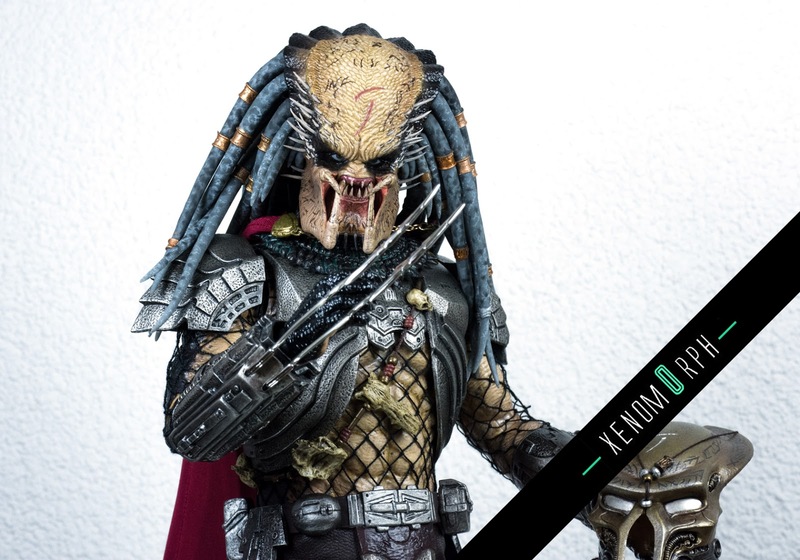 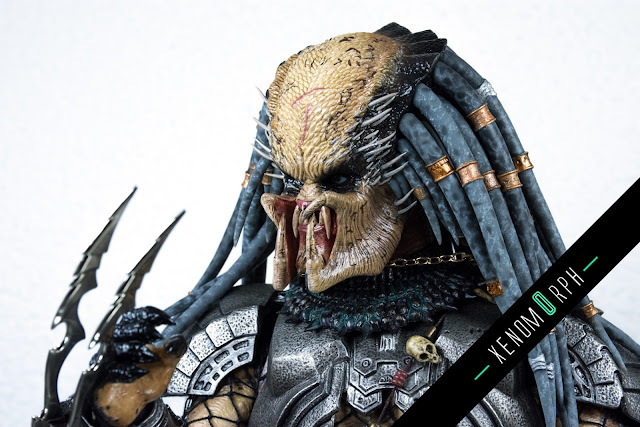 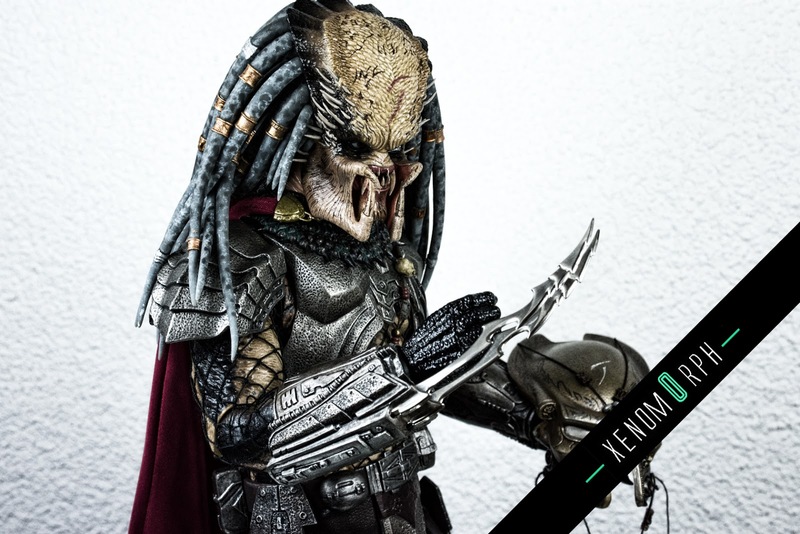 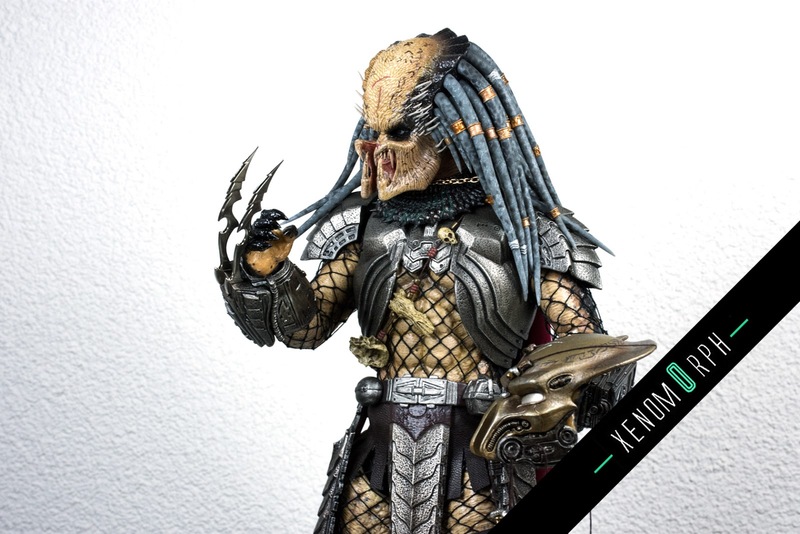 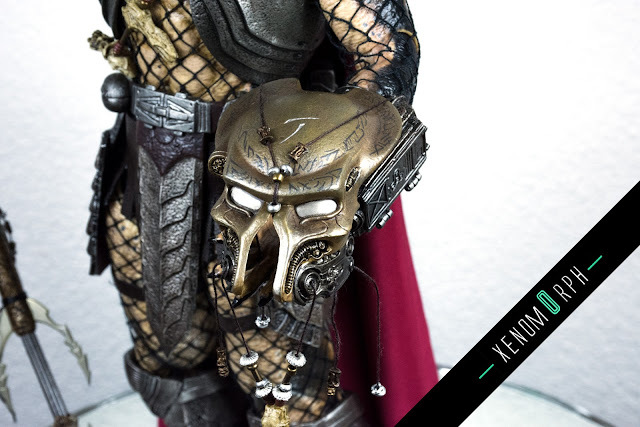 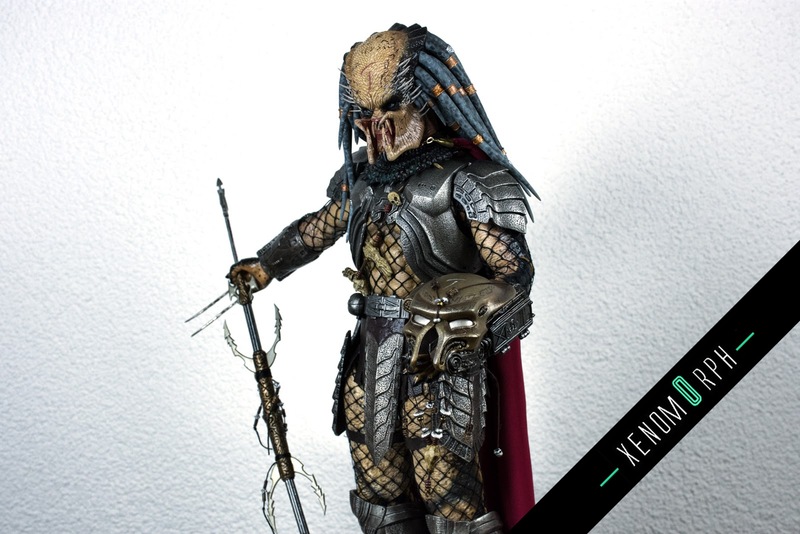 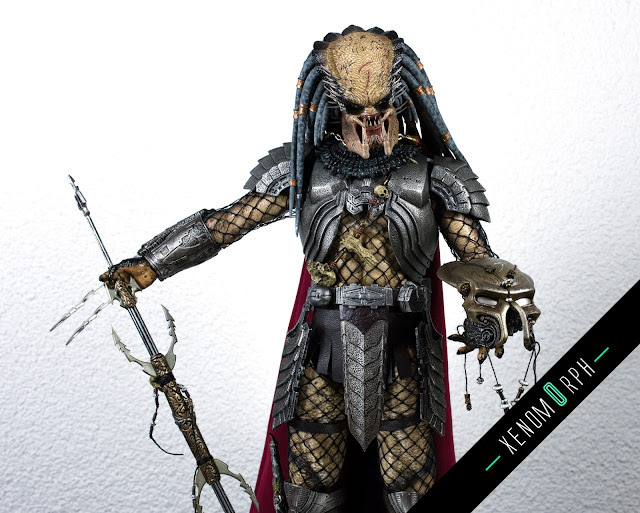 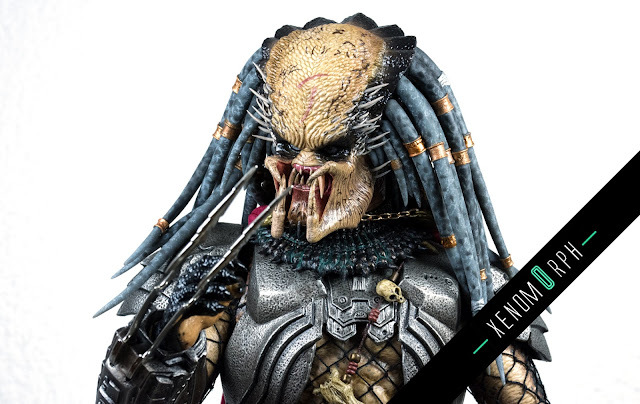 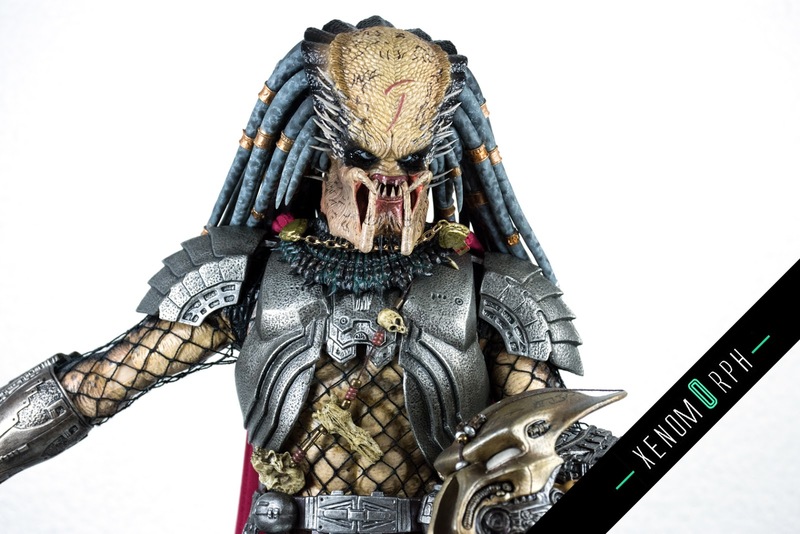 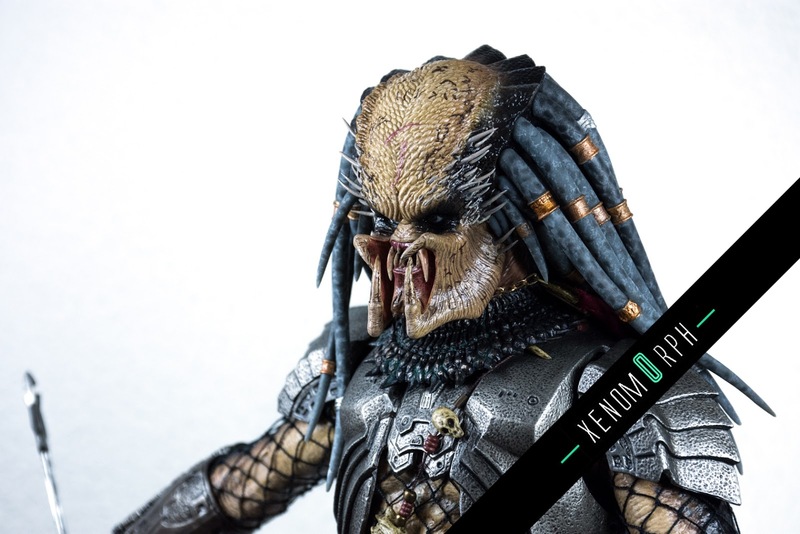 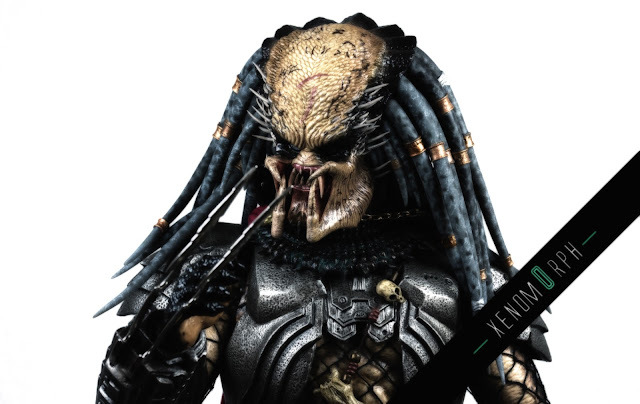 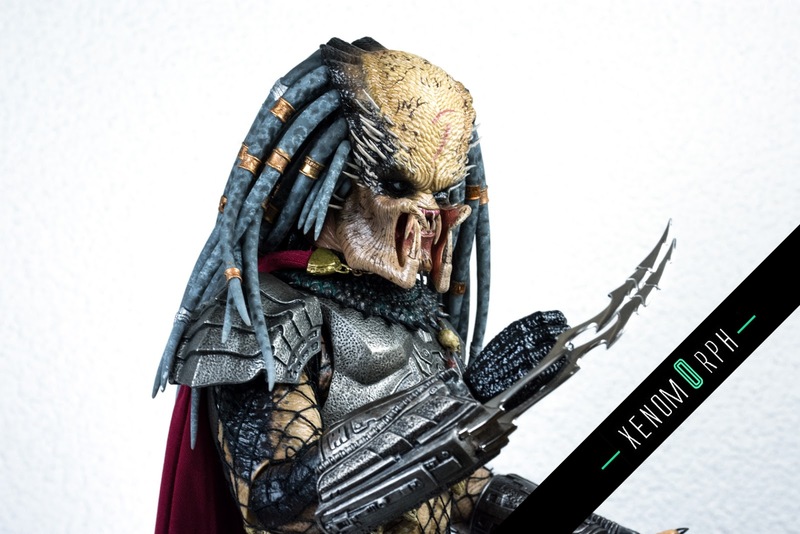 A rather uninspiring release of Hot Toys: The AvP Elder Predator 2.0 from 2016, MMS325. It's alright, but no stunning piece. 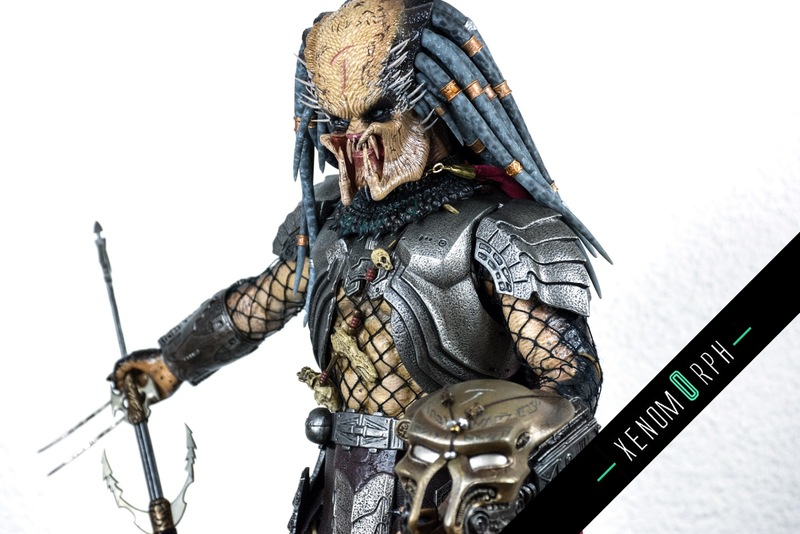 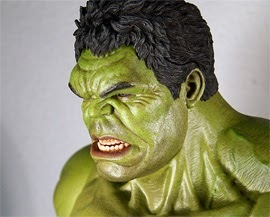 The headsculpt is a let down: googly eyes and quite a cartoony look. 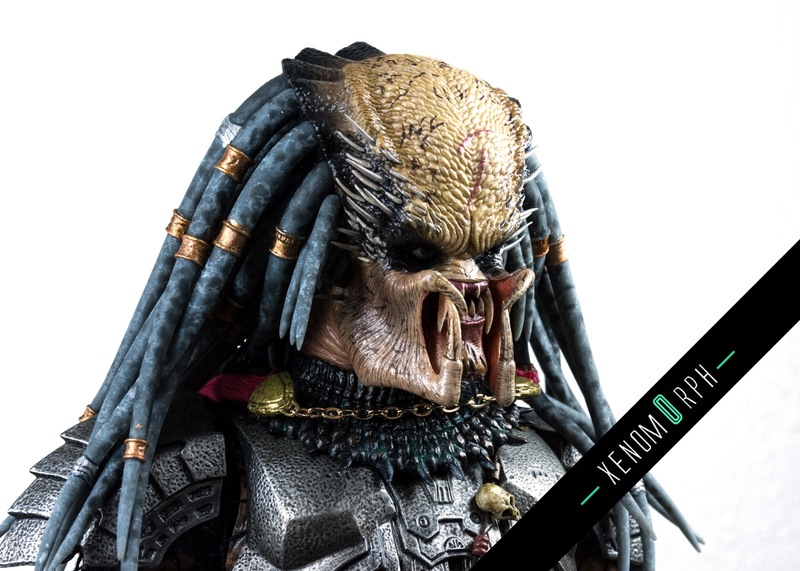 It does not fit to the other Preds of this lines in terms of the face sculpt. 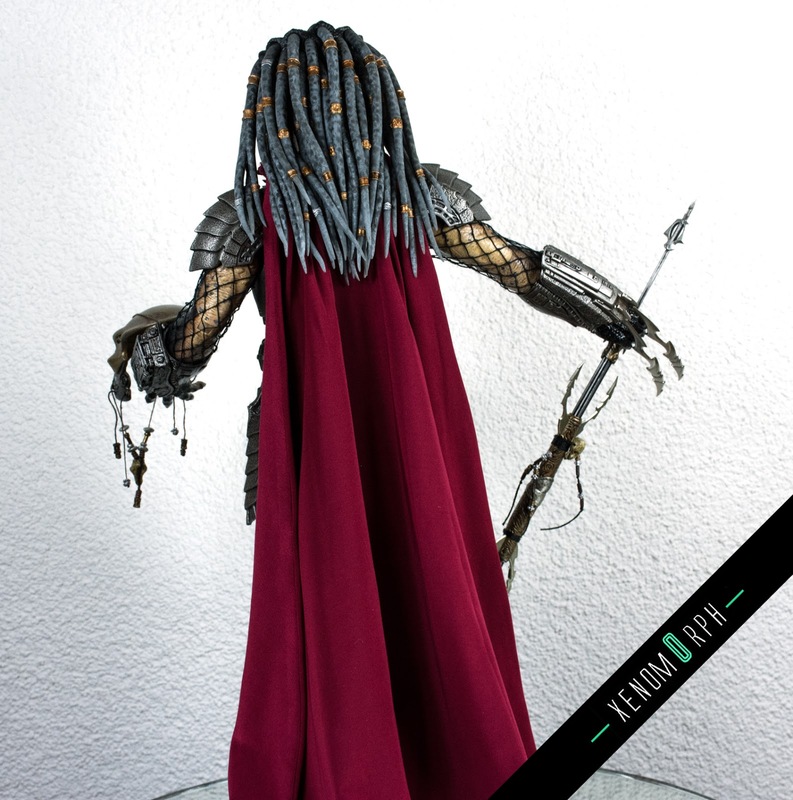 The rest of the figure is well executed though. 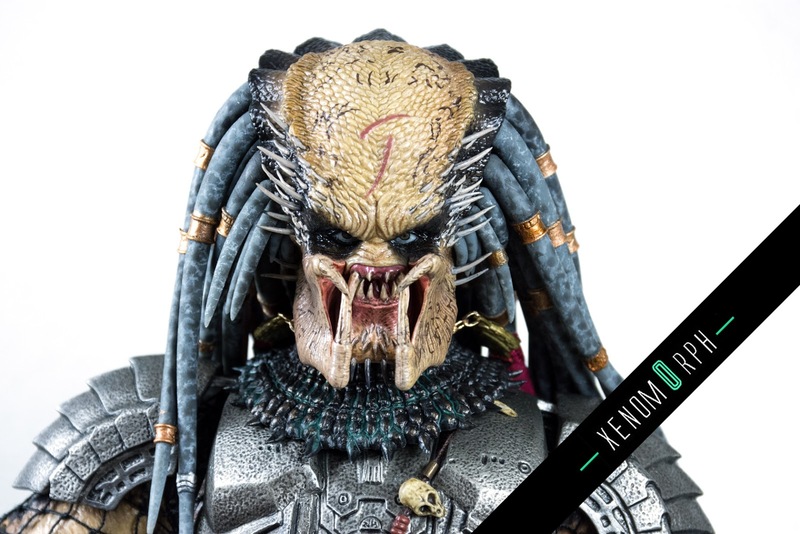 The accessories are well built and with some cool details, but overall I can't justify the Hong Kong release price of almost 300 USD. 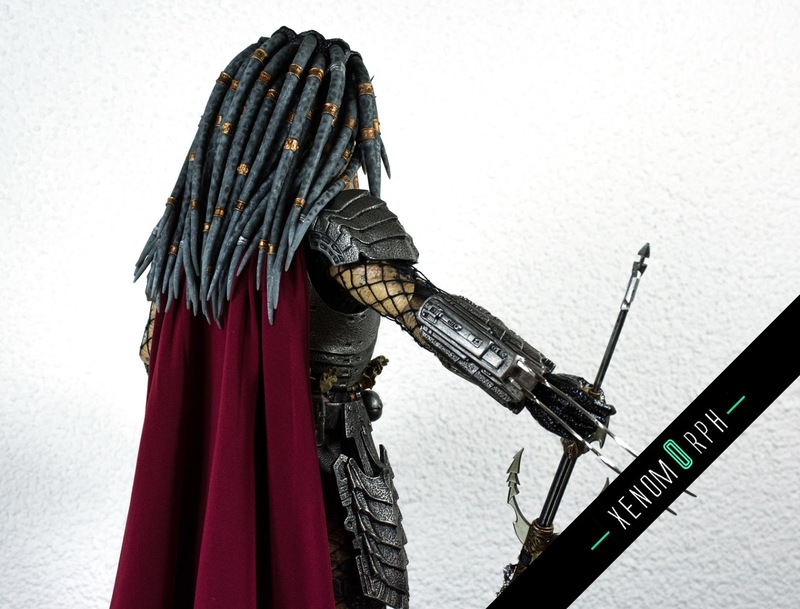 I decided to share only some photos on this piece.